Established in 2012, The White House Interiors is a residential interior design studio based in Bedfordshire. 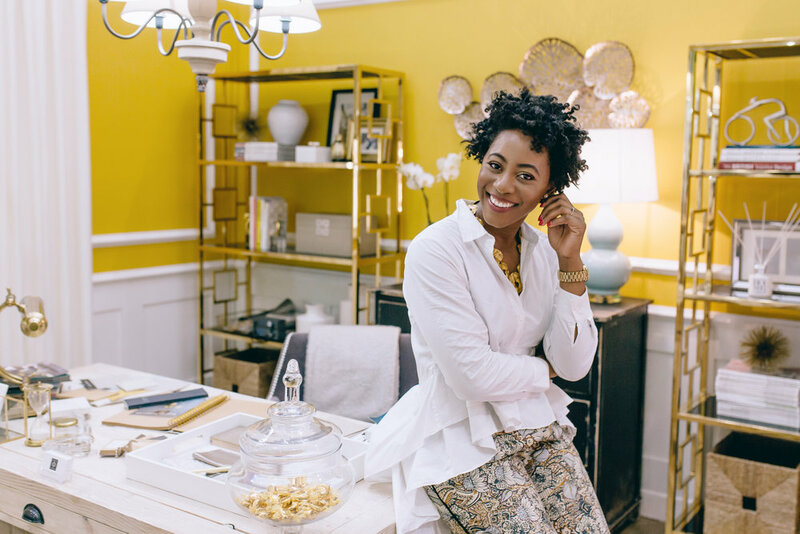 The Founder, Charmaine White, discovered her entrepreneurial vision for interior design at an early age. Coming from a creative family, Charmaine pursued her passion and received a degree in Textile Furnishing Design & Manufacture. This led to her studying at the prestigious KLC School of Design in Chelsea, receiving a Diploma in Interior Design and Decoration. Charmaine gained valuable, first-hand experience working with a high-end design studio in London, renovating luxury spaces. This provided Charmaine with the perfect foundation to launch The White House Interiors to support the growing demand for her services from residential clients. In 2013 Charmaine reached the the quarter finals stages of BBC’s popular design show The Great Interior Design Challenge. Most recently she was chosen as one of the feature room-set designers to create a space at Grand Designs Live at the NEC. The White House Interiors offers a friendly, personalised design service, concentrating on creating bespoke interiors that complement your home and lifestyle. The aim is to work with you to understand your dreams and aspirations, helping you to enjoy the whole experience of the design journey, from concept through to final installation.